On a recent visit to Toronto, I had a chance to pop into the Art Gallery of Ontario (AGO), one of Canada’s premier destinations for Canadian, European and Contemporary art. In addition to their excellent regular exhibition programming, the AGO also features a series of contemporary art exhibitions in their Young Gallery that highlights the work of some of the city’s most talented emerging local artists. This month, the gallery space was transformed by the team effort of Sean Martindale, a local interdisciplinary artist, and Pascal Paquette, a contemporary painter and graffiti writer, in the creation of their collaborative project called the NOW Service Bureau. 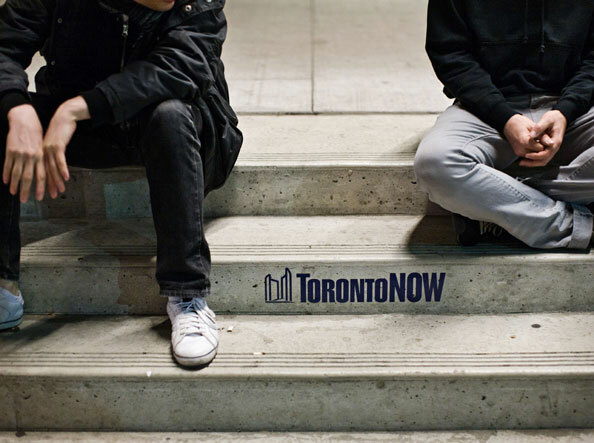 Appropriating the Toronto government’s signature logo of Toronto City Hall’s twin towers, they have created what they refer to as a Do It Yourself (DIY) government-like agency, complete with service counters, creative service directory, work space, comment wall and lounge-like waiting area, mixed with street graffiti and large installation. The artists’ intention is for viewers to use the gallery as a forum to present their own comments, questions and ideas about local and global issues, art, and life itself. Sean Martindale and Pascal Paquette, NOW Up, 2012. Mixed media and video projection. Courtesy of the Art Gallery of Ontario. Photograph taken by the author. © Sean Martindale and Pascal Paquette. This time-lapse video shows the changing face of a wall as it is repeatedly covered with the word NOW. 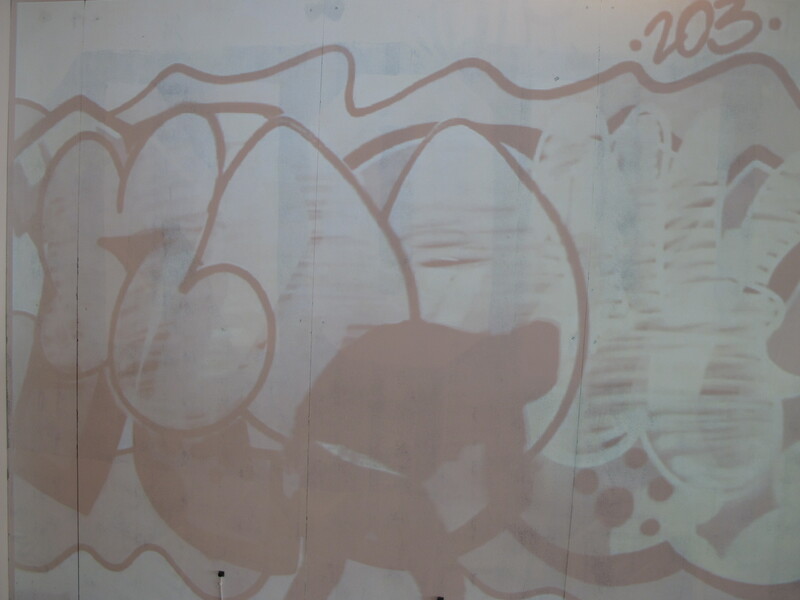 Using early graffiti styles in the approximate sequence in which they first appeared on the street art scene, Martindale and Paquette paint the history of graffiti writing into the gallery. Infinite NOW (2012) by Sean Martindale and Pascal Paquette is a work that is completed by visitors to the gallery space. 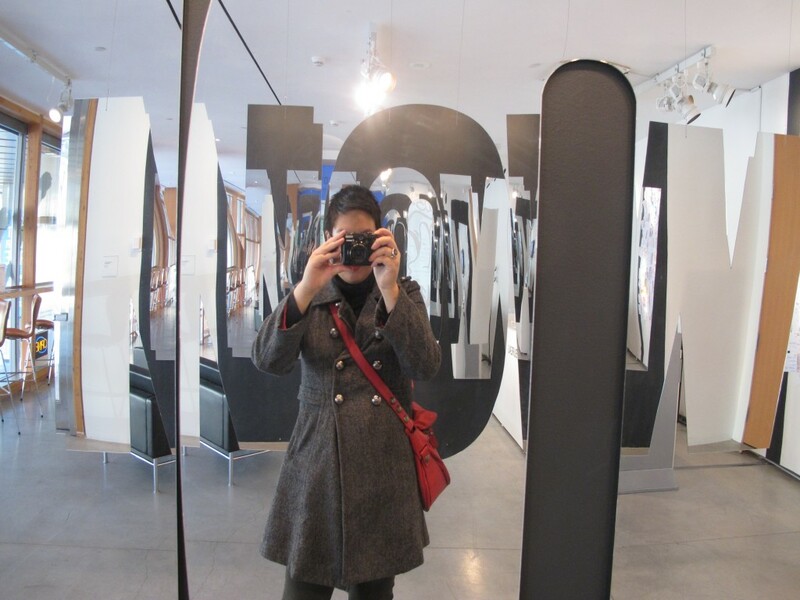 Mirrored NOW sculptures frame the viewer and reflect their image, a visual remark on the role of the viewer as both creator and member of the masses. Courtesy of the Art Gallery of Ontario. Photograph taken by the author. © Sean Martindale and Pascal Paquette. 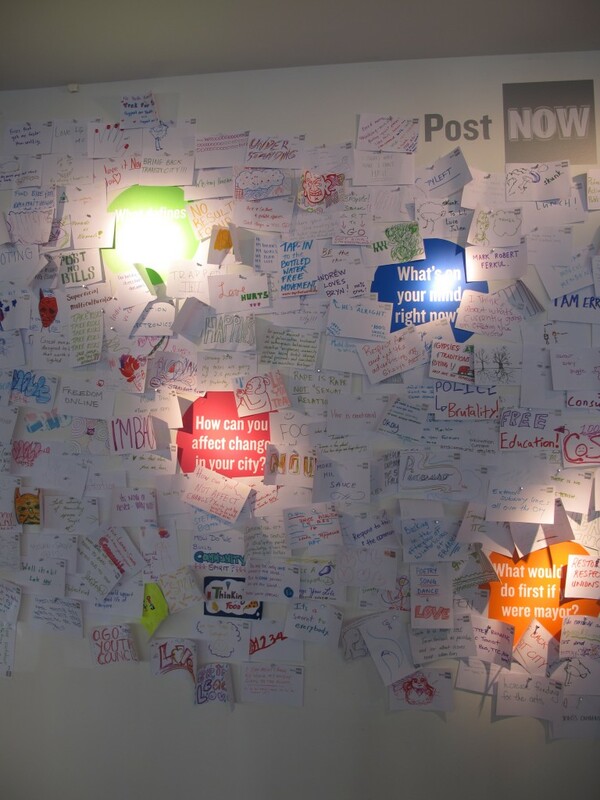 As a forum, the exhibition extends beyond the physical space of the gallery. 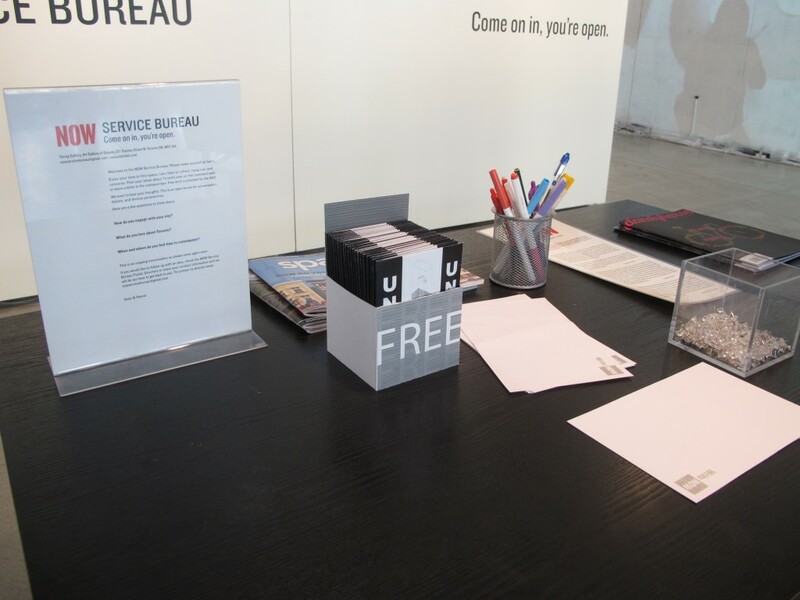 Perhaps one of the most playful elements of this exhibition is their creation of Gift Shop Gift Shop. This store within the AGO’s museum store features souvenirs of the AGO gift shop itself, along with collaborative and independent multiples by other local Toronto-based artists, designers, and illustrators. 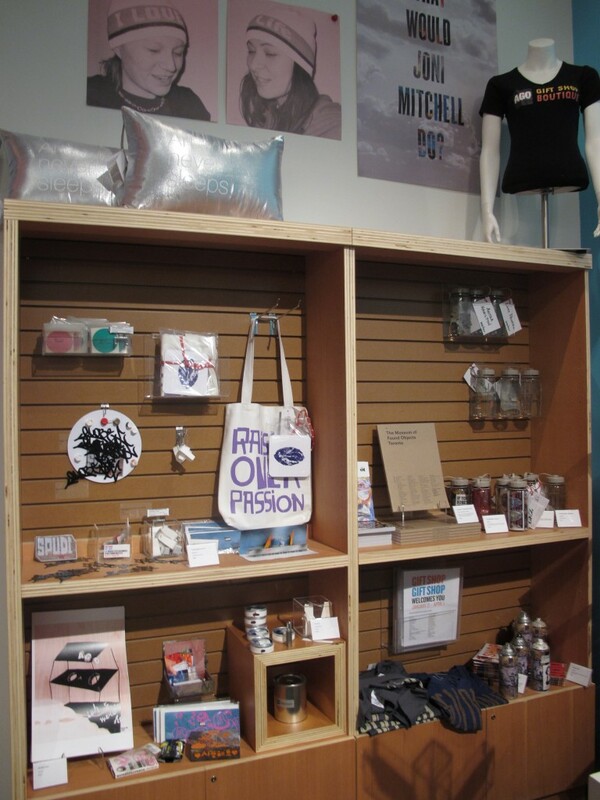 Taking inspiration from existing AGO gift shop products, overstock, and the concept of the “museum souvenir” itself, traditional mementos such as postcards and pins are reinterpreted and redesigned, cheekily commenting on issues of visitor participation and appropriation in the creation, consumption and value of art. A view of Gift Shop Gift Shop, 2012. Courtesy of the Art Gallery of Ontario. Photograph taken by the author. 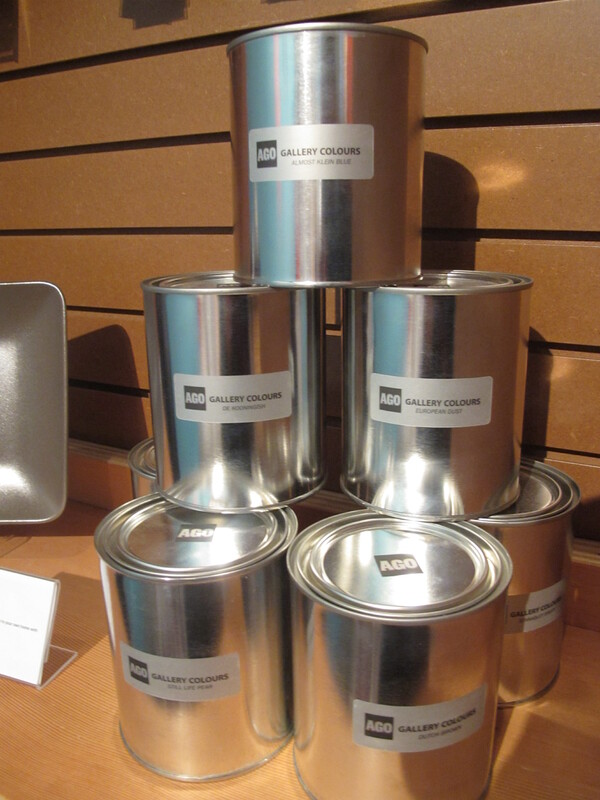 One of the Gift Shop Gift Shop products for purchase: AGO Gallery Colors, which range from such hues as “Still Life Pear,” “Almost Klein Blue,” and “De Kooningish.” Courtesy of the Art Gallery of Ontario. Photograph taken by the author. 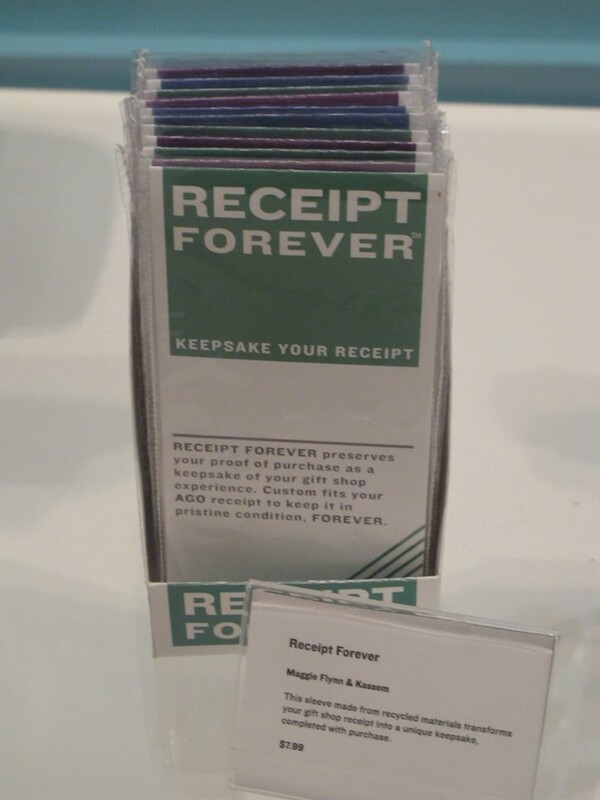 Another Gift Shop Gift Shop product for purchase: “Receipt Forever” (2012) by Maggie Flynn and Kassem. Courtesy of the Art Gallery of Ontario. Photograph taken by the author. This sleeve made from recycled materials transforms your gift shop receipt into a unique keepsake, completed with purchase. NOW: A Collaborative Project with Sean Martindale and Pascal Paquette is on view at the Art Gallery of Ontario until April 1, 2012.